This Is The WORST Restaurant Tipper of 2012! Restaurant receipt via The Bitchy Waiter. You guys know how I love outing terrible tippers, and this guy right here has got to be the lowest of the low. As you can see above, he actually subtracted his tip from the bill when his party dined at an Andersonville restaurant on Christmas. Here's what went down, according to the server, as he explained to The Bitchy Waiter. 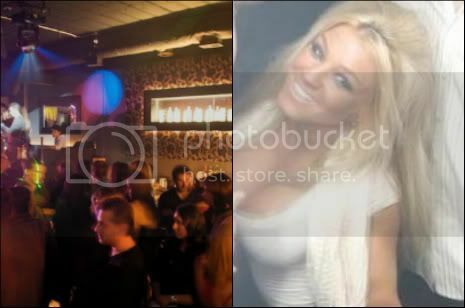 Left photo via Proof nightclub; right photo via Jessica Harr's Facebook page. This year has really gone by quickly. 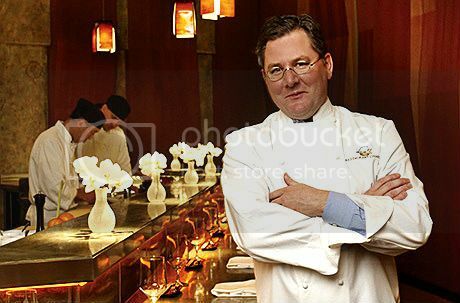 Part of the reason is because 2012 was one of the most outrageous years to date for the dining and drinking scene. Get Ready For A Second Kuma's In Chicago. 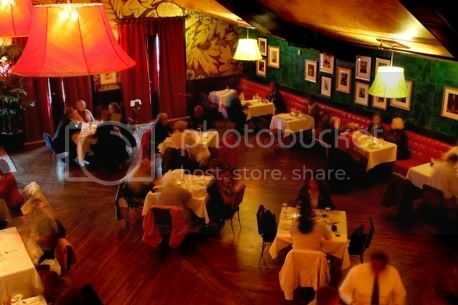 . .
Coq d'Or interior via Popsugar. No holiday season is complete without at least one visit to Coq d'Or—that legendary Drake hotel bar that opened the day after the repeal of Prohibition. We go for the well-crafted cocktails (from the Mai Tai to the Manhattan) made by old schoolers, but another appeal is this option: the twice as nice portions of the "executive" size. So sweet and bittersweet . . .
• Blackbird Executive Pastry Chef Dana Cree was the big-time winner at the second-annual bûche de noël contest Monday at Cafe Des Architectes. Her winning cake—which she said was based off an Austrian dessert she once made to impress Wolfgang Puck—was a hit with the official judges (including 312DD!) as well as the people's choice. It tasted like a combo of a "burnt" crème brûlée and the most decadent caramel brownie I've ever had. She beat out the likes of Balena's Amanda Rockman and Meg Gaulus of NoMI. • Speaking of red-hot pastry chefs, Trenchermen is hosting an all-star event with Dana Cree, plus chefs from the likes of Momofuku Milk Bar and Noma. It's $100 per person, happens on Jan. 3 and also includes wine pairings from Alpana Singh (The Boarding House) and cocktails from Jenny Kessler of Masa Azul. This talented, award-winning pastry chef sported some mighty funky-looking socks Monday at the Cafe Des Architectes' benefit for the Greater Chicago Food Depository. I'm a sucker for a great ice cream sandwich, so I couldn't resist this latest offering from West Town Tavern. They've combined two festive favorites of the season—Christmas cookies and candy cane ice cream—to create this delight that should please young and old. To make it, they've folded crushed peppermint candy into their rich vanilla bean ice cream and put between sugar cookies with a hint of lemon zest. It's then drizzled with berry and chocolate sauces. You're pretty disciplined with diet and exercise most of the time, which may tempt you to slack off during the holiday season. But a few fitness experts around town advise that while it's okay to treat yourself occasionally, don't allow the indulgence to completely throw you off your plan. Further, recommends Flywheel Chicago instructor Antonia DeSantis, eating healthier on your own when you're not at holiday gatherings is more important than ever. "Make sure you are eating extra clean when you aren't celebrating," DeSantis says. 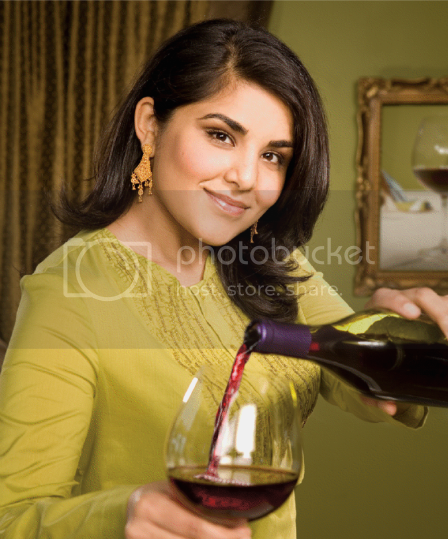 "Your daily food intake should remain healthy to offset the heavier foods at the parties." That's some pretty solid advice! Here are some additional tips from DeSantis as well as other fitness experts on what to eat and where they enjoy wining and dining in Chicago. A few weeks ago I wrote a post detailing the incredibly outrageous moments in Chicago's bars and restaurants in 2012.
Who knew there would be a late and juicy entry so close to the end of the year?! The Twelve Drinks of Christmas . . .
Raise your glass . . .
• Can you believe Quartino's been around for seven years?! It feels like it just opened a few years ago. To celebrate, chef/partner John Coletta's doing $7 specials of all the food on the menu, plus two wines by the bottle. But you'll have to wait; the deal only happens on Jan. 7. That's perfect timing because right after the holidays, we'll all be trying to save those $$$. • Three Dots and a Dash maestro Paul McGee previews the cocktail list of what to expect when the subterranean spot has its soft open this weekend. We're really excited about the frozen Mexican Firing Squad special of Corozon blanco tequila, pomegranate, lime and angostura. Is This The Best Grilled Cheese in Chicago?! Food & Wine Says Yes . . .
There’s Something About Sherry . . .
Sherry's no longer exiled to the back of menus as wine directors and bartenders have given the Spanish fortified wine new life. From BIN 36 to Vera, several Chicago bars and restaurants put sherry back in the spotlight this season . . .
• A number of the city's top pastry chefs compete in the annual Holiday Rock & Roll benefit at Cafe des Architectes. The likes of Dana Cree (Blackbird), Meg Gaulus (NoMI) and Amanda Rockman (Balena) will present their modern interpretations of the Bûche de Noël, a traditional French holiday dessert. Yours truly will serve as one of the media judges. There will also be savory appetizers, punch bowl cocktails and plenty of holiday jingles from Rod Tuffcurls and The Bench Press. Proceeds from the $35 ticket benefit Share Our Strength. 6-8pm Dec. 10. • Indulge in three hours of all the sparkling wine you can gulp down at BIN 36's annual Bubble Bath. In addition to more than 75 bubblies, you'll get appetizers and enough desserts to send you into sugar shock. A portion of the proceeds—as well as retail sales through Dec. 31—benefit Lincoln Park Zoo. 6-9pm Dec. 12. Get the $48 tickets right here. • The decadent turtle pie at Joe's Stone Crab is the December feature for the Pie It Forward program. Order a slice and $1 benefits the Greater Chicago Food Depository. • Little Market Brasserie's set to open later this month, and we're especially excited about its innovative new beverage program. 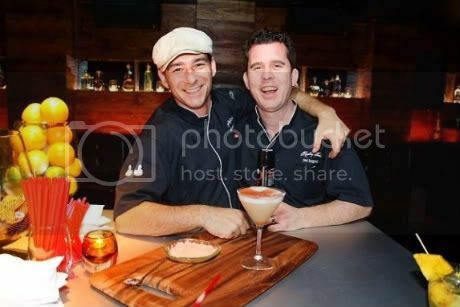 Of course that program's from the dynamic duo The Tippling Bros.—who are also behind the cocktails at Mercadito and Tavernita. At LMB, they're doing what they've dubbed as "charged cocktails" with five different charger (or soda) flavors made from fresh juices, exotic teas, fruit peels, flowers and herbs. The flavors will be Meyer lemon sour, hibiscus vanilla, smoked salted cream soda, cornflower yuzu and blood orange cinnamon, and they may be combined with the guest's spirit of choice (e.g. gin, vodka, tequila, whiskey). The cocktails will be priced $10-$14. On the menu also will be a number of stirred or shaken specialties such as a Champagne Cobbler, Ginger Smash, and Bengal Sidecar of chai-infused cognac, curacao, lemon, blood orange, and a Bengali Tiger IPA Float. • Curtis Duffy, Michael Muser and the team at Grace have to be ecstatic and anxious at the same time. The long-awaited, fine-dining restaurant finally has an opening date: Dec. 11. • Save Chrissy Camba! The Bar Pastoral exec chef was sent packing her knives on "Top Chef" last week, but here's a way to bring her back on the show. Don't forget that she was the only Chicago chef on this season! • Speaking of "Top Chef" contestants, former fiery contender Heather Terhune of Sable Kitchen & Bar has teamed up with Falafill to create an exclusive Mediterranean treat, the December Chefs for Charity Wrap. For every wrap purchased, $1 will be donated to Purple Asparagus, a charity dedicated to nutritional education for families. Sneak Previews Of Two New Menus You Don't Want To Miss: Roka Akor, Municipal Bar + Dining Co. Here's a first look at two menus you'll crave this season: the six-course winter kaiseki from Roka Akor and a sampling of what to expect at Municipal Bar + Dining Company when it opens Dec. 15. If Roka Akor's menu is a little too out there for you, Municipal Bar + Dining Co.'s might be more up your alley. Executive Chef Jeffery Arasi once cooked for the Queen of England (at The Savoy Hotel in London), but don't expect any fussy fixin's at this upscale sports lounge. Just so you know, I'm particularly excited about the braised lamb shank that comes with truffled white corn grits.